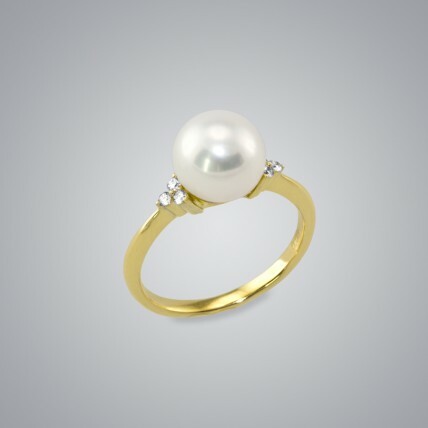 Pearl Ring with White Freshwater 7.5-7.0.. 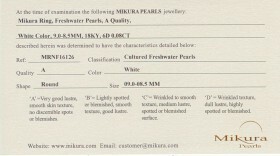 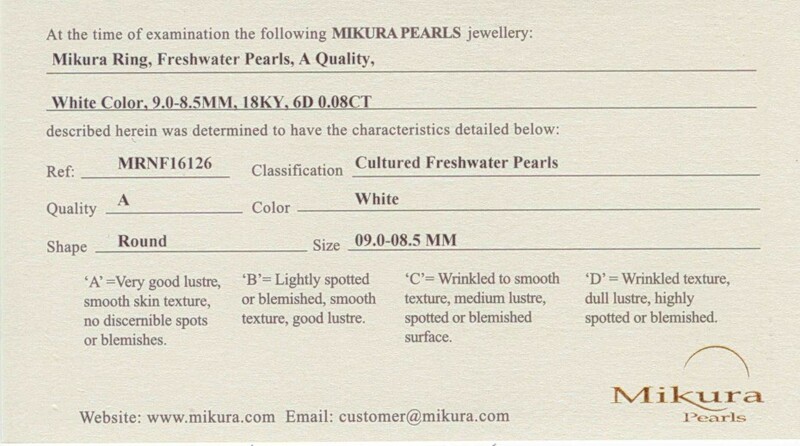 Hanging Freshwater Pearl Earrings, 8.5mm..
Pearl Ring with Freshwater Pearls, A Quality and White color. 9.0-8.5 mm, 0.08 carats of diamonds and 18 Karat yellow gold.